Travellers increasingly require flexible booking solutions that satisfy their short-term decision-making behaviour. The Austrian Broadcasting Corporation (ORF) recently reported that 46% of Austrian citizens book their holidays online. In the Netherlands, the proportion is even higher – 81%. Interestingly, however, only some of the services and attractions offered by a tourist destination can be booked over the Internet – ski passes, skiing lessons and outdoor activities still have to be ordered over the phone or in person. It is, moreover, uncommon that travel services can be booked via a platform run by a single provider. This frustrates potential customers and represents untapped potential for mountain railway operators and other regional providers. With Peaksolution, things are different – all services in a region are made available online. The booking process integrates existing systems, such as those provided by railway operators and/or tourism organisations. 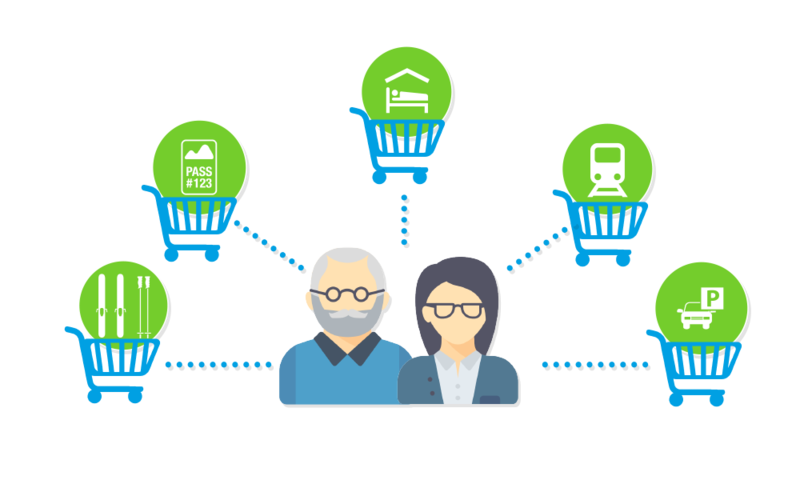 All the products and activities a holidaymaker desires are placed in one shopping cart and purchased in a single checkout process. Convenient for customers, creating value for the region! 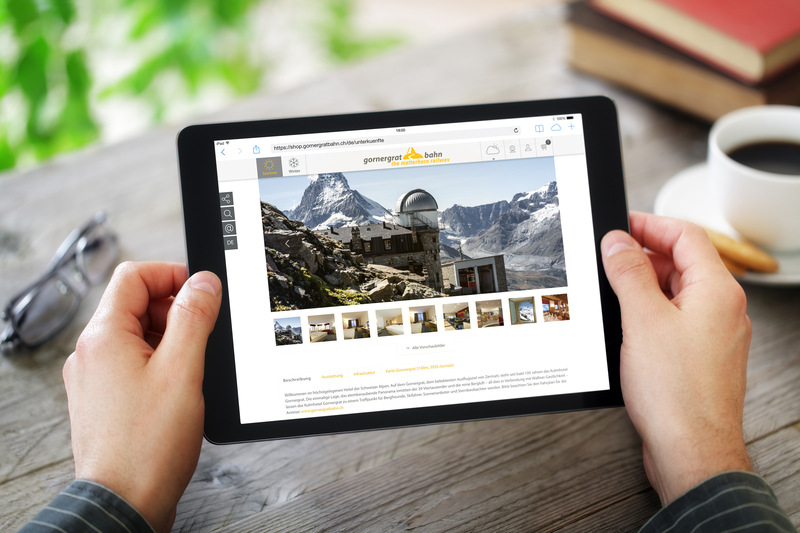 Already well-established in a number of other sectors, the tourism industry is now incorporating the professional online sales of travel services via a single customer touchpoint. 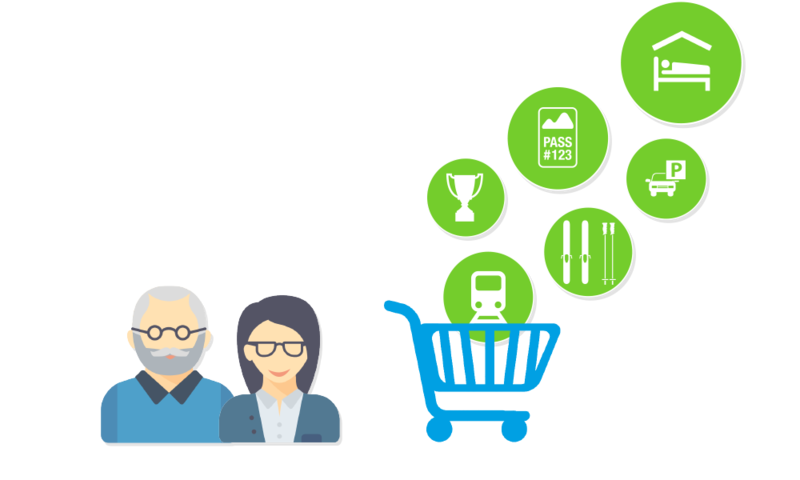 As a result, accommodation, railway tickets/ski passes and much more can be added to a single shopping cart and booked through one easy checkout process. Travellers can design their own dynamic packages. This service increases the number of bookings made directly with regional providers and mountain railway operator.